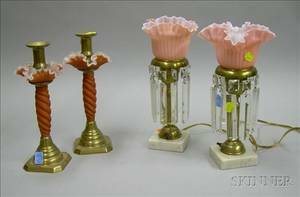 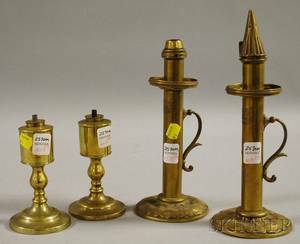 Pair of Brass Fluid Peg Lamps and a Pair of Palmer & Co. London Brass Candle Hand Lamps. 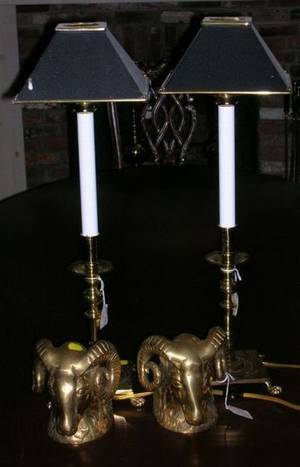 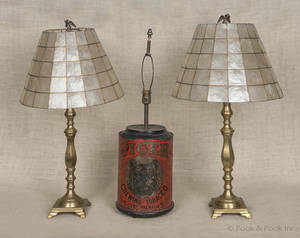 Pair of Brass Candlestick Table Lamps with Painted Metal Shades and a Pair of Brass Rams Head Bookends. 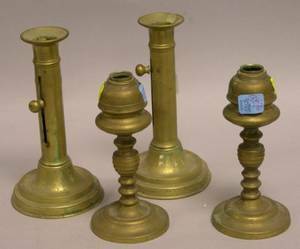 Pair of Brass Push-up Candlesticks and a Pair of Brass Whale Oil Lamps. 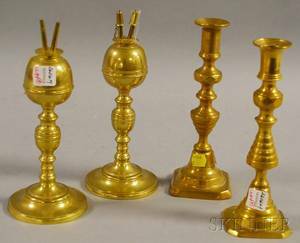 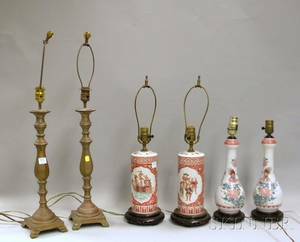 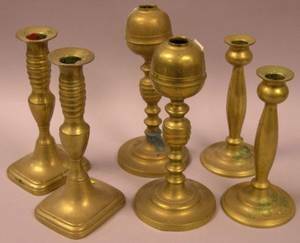 Pair of Brass Whale Oil Lamps and Two Pairs of Brass Candlesticks. 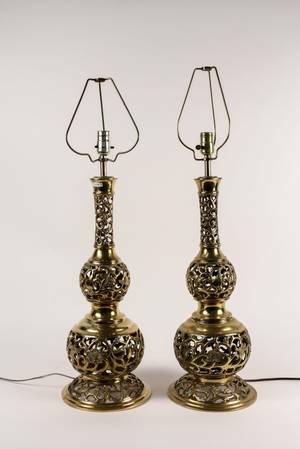 Large Pair of Brass Candlestick Table Lamps and a Classical-style Gilt Brass Table Lamp.